*These stories are continued from TMNT New Animated Adventures #9. 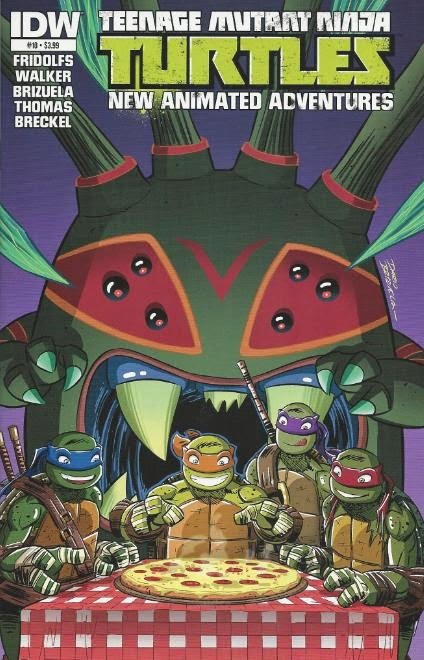 The story continues in TMNT New Animated Adventures #11. *This issue was originally published with 2 variant covers: Regular Cover by Brizuela, and Cover RI by James Silvani and Amy Mebberson. Spidey-bite may not be the best sort of villain but I do love his visual design. Reminds me of Gillwing, an old video game character from Sega's NiGHTS franchise. And I think the colors on this cover are quite striking.